One of my favorite Facebook ads features is Conversion Tracking (it’s actually one of the features I’m highlighting in this week’s FREE webinar). 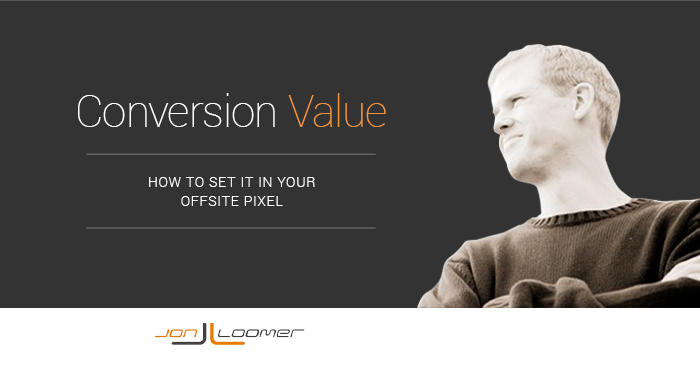 It’s an awesome way to both optimize for and track offsite conversions that come from your ad. 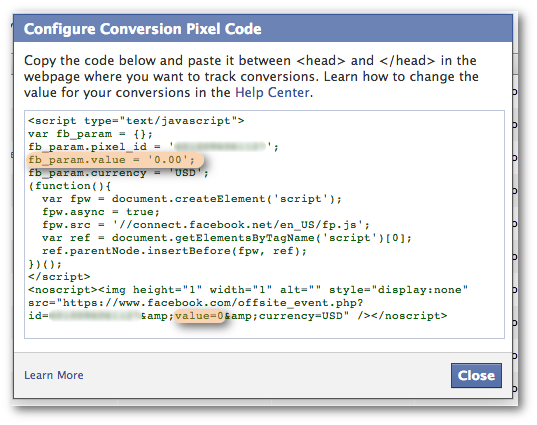 The problem, of course, is that Facebook makes it very difficult to set a Conversion Value. Nowhere do they make this clear. Based on the “conversion details” I set up, huh, Facebook? How about you just tell me where I can do that? Nothing shows up when you’re creating the pixel. Nothing when you’re selecting the pixel. It turns out the only way to set this value is within the pixel itself. This is definitely a case of Facebook burying helpful functionality and making things way more difficult than they need to be. It would make a lot of sense to include a text field where we can enter the conversion value and then Facebook automatically includes that in the pixel. Of course, that would be too easy. But this is how you do it. And it’s really not difficult once you figure it out. Now when you get conversions, the Facebook Ads Manager will actually display values to go along with those conversions to help you measure ROI. Want to know what’s working? What to show the value of your advertising? This is it!